These winter temps don't seem to be going anywhere anytime soon. I was hoping we were in the home stretch for cold weather but sadly, that's not the case. I am by no means a fan of cold weather. Sure, I love a feminine coat as much as the next girl but, I do not enjoy the cold. I know other parts of the country have had it way worse than us Southerners but regardless, I'm not cut out for winter weather. Plain and simple. 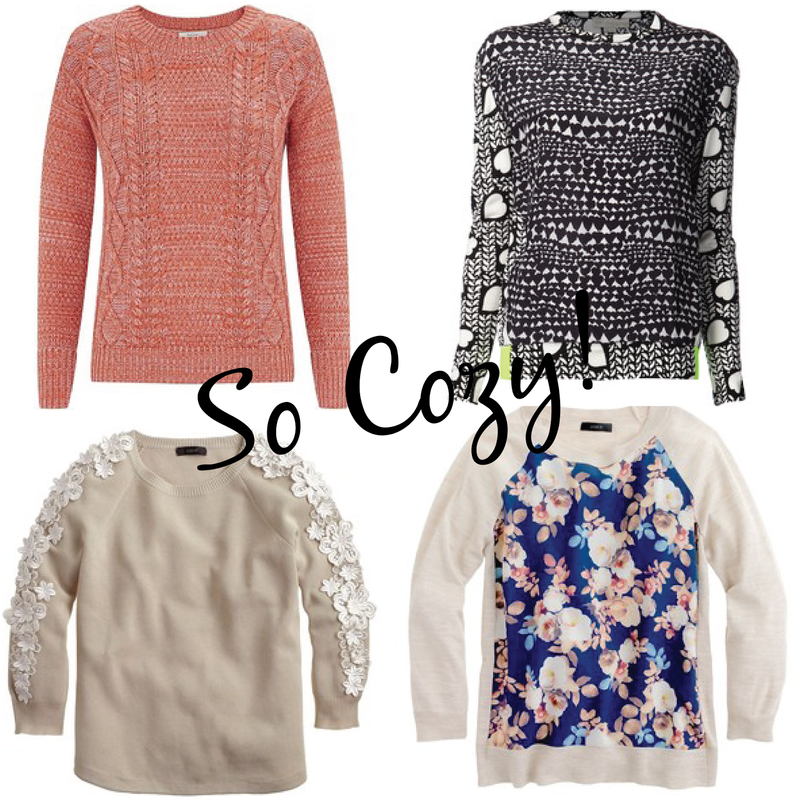 That being said, I thought I'd bring you some darling sweaters, perfect for cozying up this time of year. Have a warm weekend, ladies! These are all so unique! I am loving the bottom two. So pretty! i want that floral one!! why is it so expensive? :) maybe target has a copy version! Thanks for joining the Friday's Fab Favorites link up, I was a co-host last week and I'm trying to read every post! I didn't even realize those were hearts on the one sweater until I saw your caption, I love that! I'm totally crushing on the flower sleeve sweater from JCREW. Adorable!